Despite the fact that my youngest son was very familiar with the preschool that he would be attending, separation was a major problem for him. He had been to his older brother’s classroom countless times. He had met the teachers and knew the playground BUT, when it came time to stay by himself, he was devastated. He simply would not let me leave. He grabbed my arm, he wanted reassurance and most of all, he wanted me to stay nearby. Since that time, I have taught many classes for preschool-age children and have dealt with many youngsters who don’t want mommies and daddies to leave. Their eyes well up and they send a clear message that they will be heartbroken if left. Almost without exception, my experience has been that when mommies and daddies show confidence in their child’s ability to cope and when they don’t hesitate, the child manages fine. Sometimes a few tears are shed but a skillful teacher will quickly have the child happily engaged in an activity. For some children, I offer my small brass bell. We put it outside the classroom and their parent is instructed to ring it when they arrive just before pick up time. Usually we are enjoying a quiet circle time when the bell is rung and the child’s eyes light up when she realizes that mommy or daddy is waiting outside. For other children, I have a small stuffed ladybug – it is just the right size for small hands. I encourage children who are feeling separation anxiety to “look after” the ladybug for me. Usually, within a few minutes, the child is happily playing and the ladybug has been left behind. She shares a secret with her son. Mrs. Raccoon took Chester’s left hand and spread open his tiny fingers into a fan. Leaning forward, she kissed Chester right in the middle of his palm. Mrs. Raccoon is a wise mama. My best guess is that she is sad to see her youngster start school. 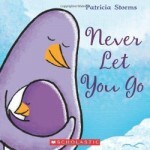 She knows she will miss him and that he is taking a big step toward independence but she puts her own emotions aside and she equips Chester with the knowledge that his mother’s love will always be with him. She also shows confidence that he is ready to take this step away from home. A great choice for children heading off to preschool or kindergarten. Do not be surprised if your child’s teacher shares this story during the first week of school. 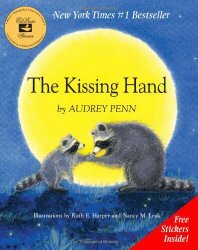 Follow Storytime Standouts’s board The Kissing Hand written by Audrey Penn, illustrated by Ruth E Harper and Nancy M. Leak on Pinterest. Sara’s mother opened her nightgown and drew her daughter near. Sara was wrapped in love and a light scent of sandalwood as the warmth of her mother’s milk swirled in her mouth and filled her tiny stomach. She fell into a happy sleep. In the years that follow, there are many celebrations – Sara’s fifth birthday, her graduation and her wedding day. On each occasion, the reader is reminded that the best gifts are (like breastfeeding) those than cannot be bought and that quiet moments with family create very special bonds. The Best Gifts is appropriate for children aged four years and up. Although it clearly shares a pro-breast feeding message, Ms Mackay’s illustrations also show us fathers who are very involved with child rearing and supportive of breast feeding. 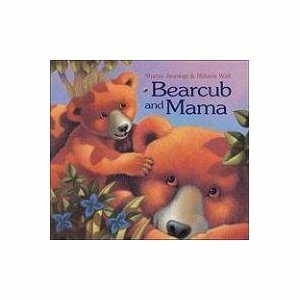 An engaging, fun picture book about the similarities between a lion cub and his mum. 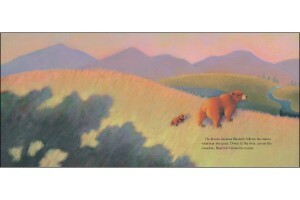 Young children will relate to the cub and his experiences from morning until nighttime. Adults will appreciate mum’s occasional impatience and her preference for dry games. 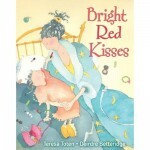 Delightful illustration make this good fun for children aged three and up. 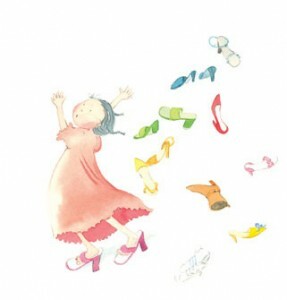 In this best-selling, award winning picture book, a young girl asks ‘Mama, do you love me?’ Her mother promptly replies, ‘yes‘ but the girl is not satisfied. She wants to know ‘how much?’, ‘how long?’ and ‘what if?’ Gorgeous, rich illustrations of Arctic animals and features of Inuit culture contribute to this exceptional story of a mother’s love. The World Vision Early Readers series features minimal text and striking photographs from Romania, Uganda, Mongolia, Sri Lanka, South Africa, Pakistan, Cambodia, Vietnam. Mom and Me depicts young children being cared for by their mothers including mealtimes, bathing, going to school, doing chores and homework and sharing affectionate quiet time. The simple text is intended for beginning readers but I imagine this used to inspire discussions about diversity and universality in a (preschool or kindergarten) classroom setting. A classic picture book for very young children, The Runaway Bunny is the story of a little bunny who decides that he wants to run away from home. We don’t know what it is that has upset him but clearly he is seeking reassurance from his parent. His loving and steadfast Mother assures him that no matter where he might run and hide, she will follow and find him. 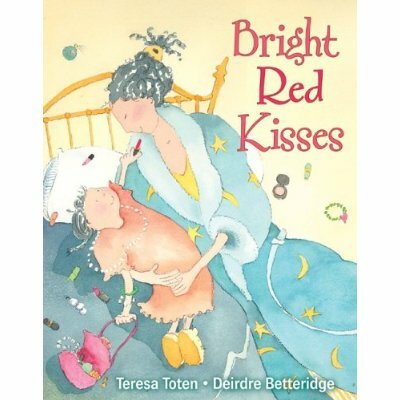 Featuring colorful painterly sas well as pen and ink illustrations, this is a story that every young child should know. I don’t know about you, but I”ll gladly accept one of these paycheques. Like so many moms, my job description is a long and complicated one. I am self-employed and work outside the home four days each week. I also volunteer and am currently the chairperson of our school Parent Advisory Council. My most important jobs are here at home. As a wife and mother, I garden, decorate, clean, launder, tutor, cook, transport, counsel, organize and cheer. Add ‘Elder Care’ to the mix and my days are full to the brim. I don’t know about you, but I’ll gladly accept one of those paycheques! Here’s wishing you a happy Friday – how ’bout taking a “day off” from your endless “to do” list and choose something from your “want to do” list? Making Motherhood Fun… Mommy Really Can Be Amazing! 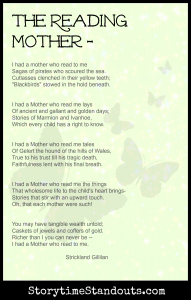 When my two boys were very young, I often told them that I was amazing! I always said it in a laughing way. I was not trying to be arrogant but rather thought that sooner or later they would both decide I was an idiot so perhaps if I referred to myself as ‘amazing‘ I could delay the almost inevitable ‘my mom is an idiot‘ phase for a month or two. Actually, so far, my strategy has worked quite well. Now, I rarely have to remind my family that I’m amazing. Instead, when I find something that was assumed lost or if I manage to do something notable, it is not at all unusual to have one of the boys or my husband refer to me as, Mommy Amazing. Not bad, eh? My devious plan appears to be working. Imagine my surprise last night when I discovered, Mama’s Little Book of Tricks by Lynn Brunelle. She’s put together, ‘fun games, cool feats, & nifty knowledge’ to ‘keep the kids entertained’ and make motherhood fun. The publisher thinks it will work for kids ages 2-7 but I’m pretty sure there is more than one idea that will impress preteens. At midnight last night, much to my husband’s chagrin, I was quoting the Nine Cool Bug Facts and contemplating the Four Impossible Kid Challenges. This book is great fun and might just lengthen my ‘Mommy Amazing’ status for awhile longer. Who could ask for more than that? 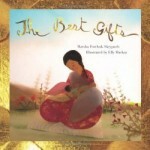 Here are some lovely picture books that celebrate mom. 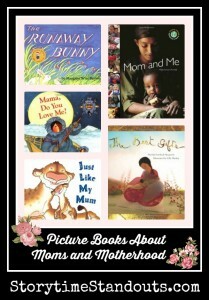 They would be perfect for a Mother’s Day storytime. Rich, warm, luminous illustrations enhance the story of a young cub and his mama. As the cub grows, he gains independence and gets separated from his loving, supportive and encouraging mother. Thankfully, he remembers the lessons she taught him and returns, through a snowstorm, to their cave. When he awakens in the morning, she is right there beside him. 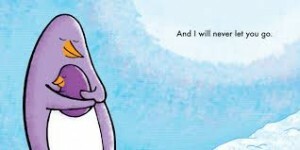 A lovely and reassuring story, best suited for preschool children. 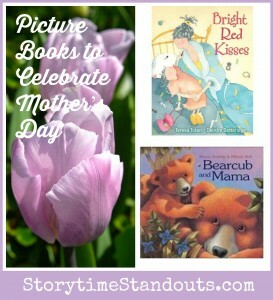 Follow Storytime Standouts’s board Mother’s Day for Preschool and Kindergarten on Pinterest.